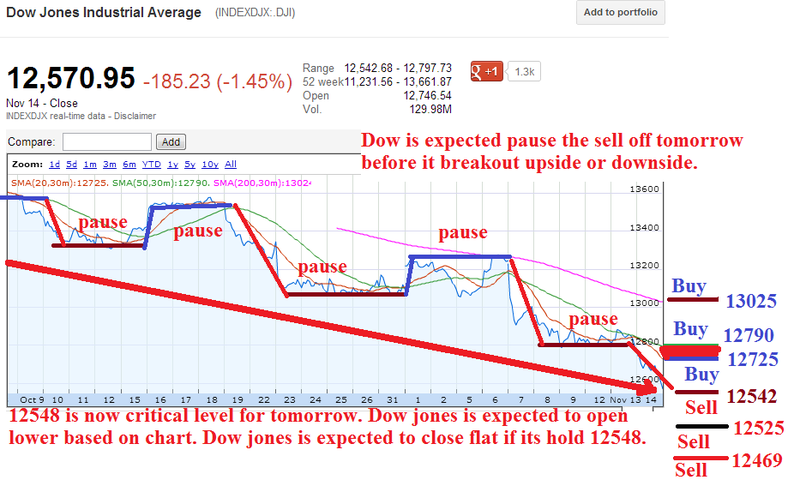 Dow jones closed today at 12570. It also completed the bear and bull trap triangle. Now tomorrow is critical day, because if Dow jones doesn't hold at 13548 resistance, then next big resistance is 12390 followed by 12232. In S&P500 next resistance is 1342 followed by 1335. For bullish sentiment to continue, Dow jones need to break 12625 and S&P500 1363 and for bearish sentiment to continue, Dow jones need to break 12525 and S&P500 1355. 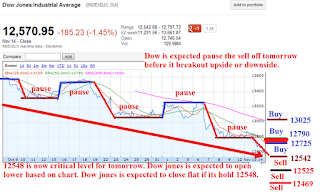 Dow jones closed at 12570 today.